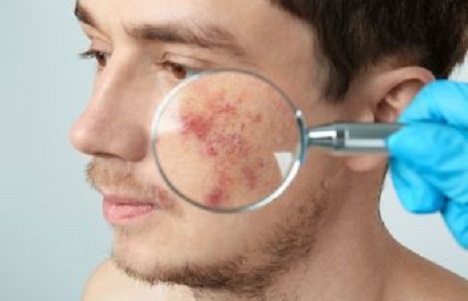 Facial acne is one of the most common yet frustrating skin conditions. While we often think of teenagers battling embarrassing outbreaks of pimples, acne can be equally disruptive and present in an adult. In fact, adults are more likely to experience the unsightly acne scars from their youth, which can be especially stubborn to get rid of. It is not uncommon for acne to leave deep scars within the delicate complexion of the face. Acne scars can be disfiguring as well as a physical reminder of acne-ridden teenage years. There are a variety of acne scars that can develop. Common names for these scars are icepick scars, boxcar scars and rolling scars. Craters are associated with the type of acne scar that forms after repeated steroid treatments. The triamcinolone steroid used to treat acne can lead to tissue atrophy, which results in a crater-like depression within the skin. If your acne scars are severe and resistant to other therapies, however, you may need to take a more invasive approach. A plastic surgeon can use surgical excision and closure to help you regain a smooth and confident complexion. Some patients are candidates for a deep plane cheek and face lift to revitalize the aging face, lift heavy anterior cheeks and spread and lessen the density of scars caused by acne. Are you piling on layers of make-up to cover your acne scars? Have you failed to get optimal results with other types of acne treatment? Let Dr. Ben Talei help. He is a renowned facial plastic surgeon who offers state-of-the-art technique and unrivaled results when it comes to improving the appearance of the face. We can eliminate your acne scars and help you gain the youthful and confident complexion you deserve!